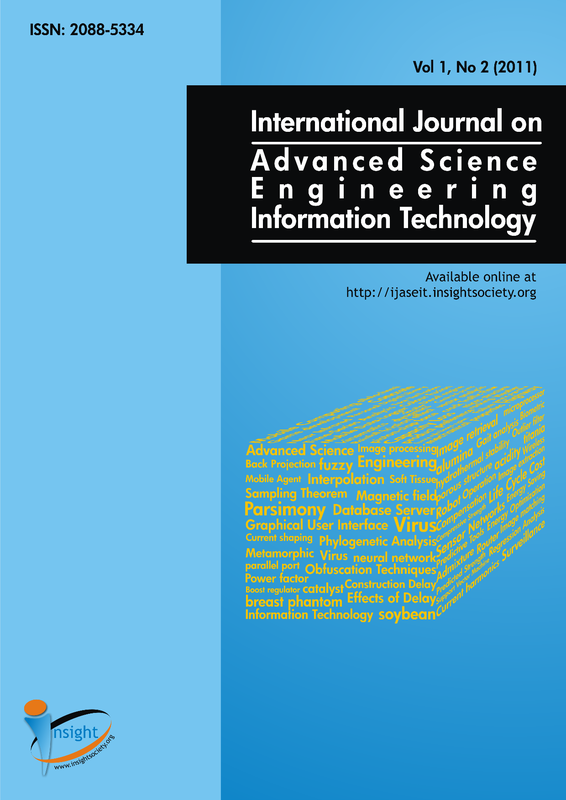 International Journal on Advanced Science, Engineering and Information Technology (IJASEIT) is an international peer-reviewed journal dedicated to interchange for the results of high quality research in all aspect of science, engineering and information technology. 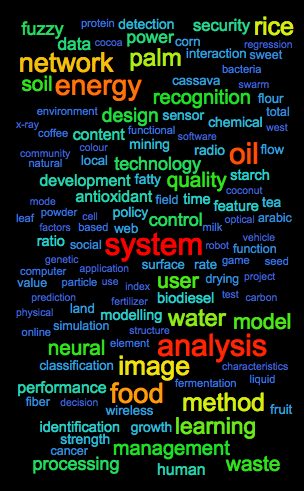 The journal publishes state-of-art papers in fundamental theory, experiments and simulation, as well as applications, with a systematic proposed method, sufficient review on previous works, expanded discussion and concise conclusion. 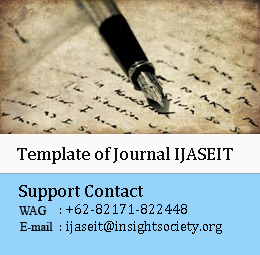 As our commitment to the advancement of science and technology, the IJASEIT follows the open access policy that allows the published articles freely available online without any subscription. 2018 Acceptance Rate : 18.2 %. Soil NPK Variability Mapping for Harumanis Mango Grown in Greenhouse at Perlis, Malaysia.